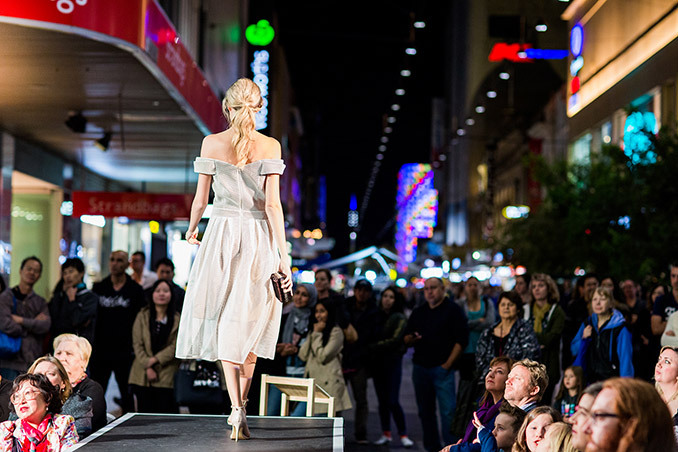 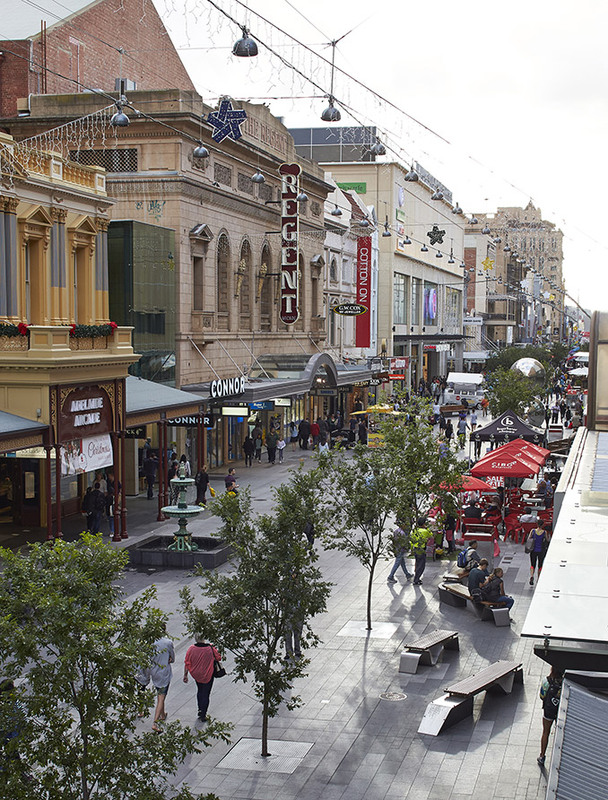 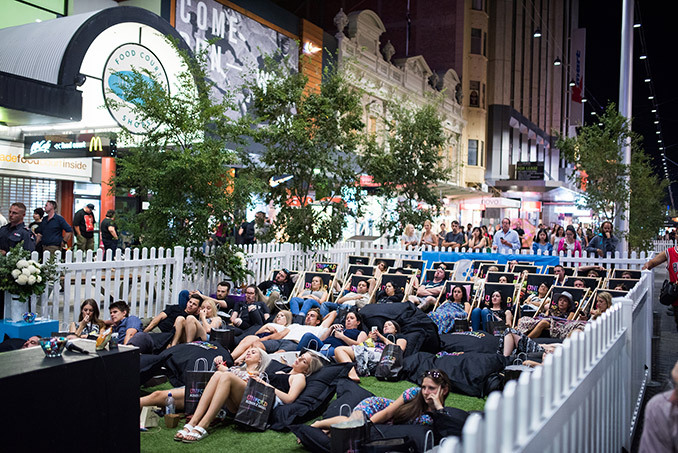 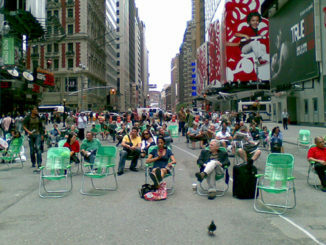 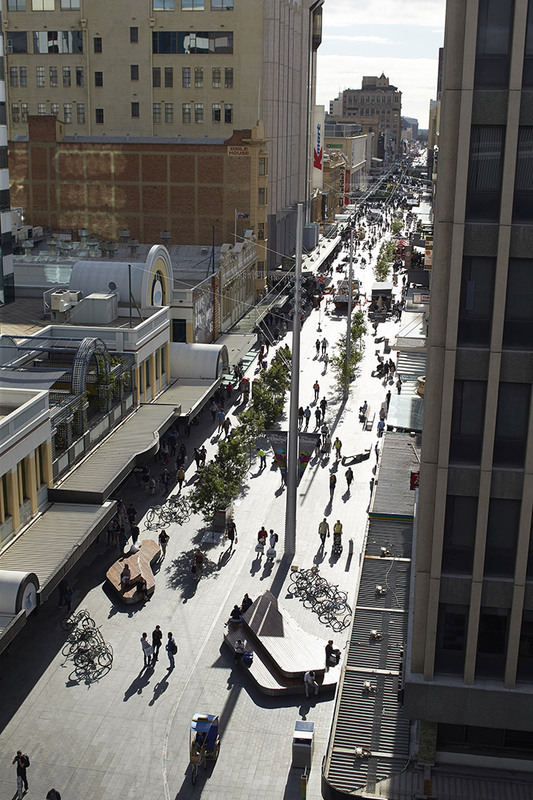 The new Rundle Mall needed to be a place that could grow along with the fast-changing nature of contemporary society, which favours experiences over static transactions – so it had to be able to support pop-up events and business through ‘plug and play’ infrastructure and anticipate future changes. 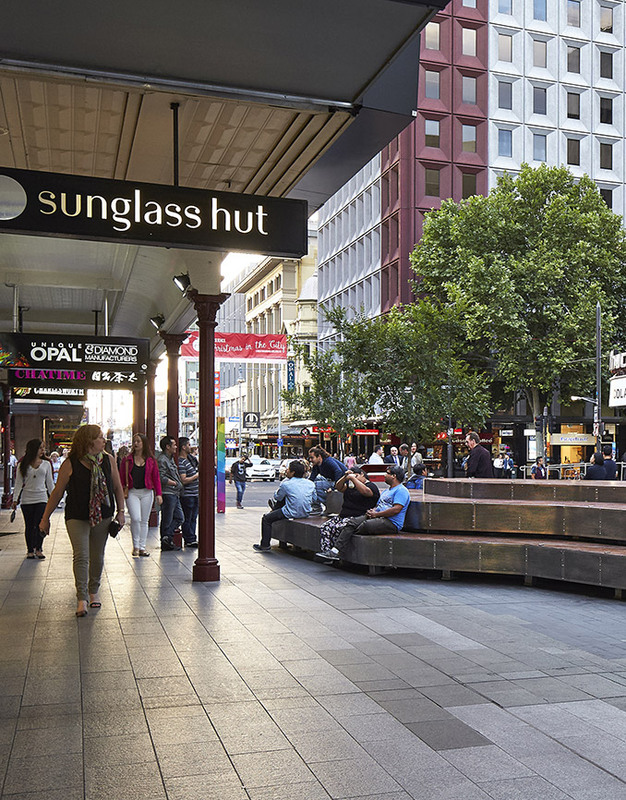 The design was inspired by the shifting patterns of the South Australian landscape. 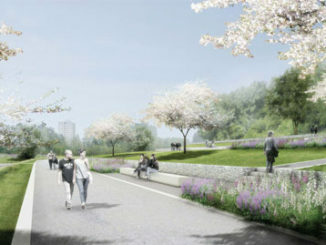 A stone-paved promenade improves access, grading and flood resistance across the entire space. 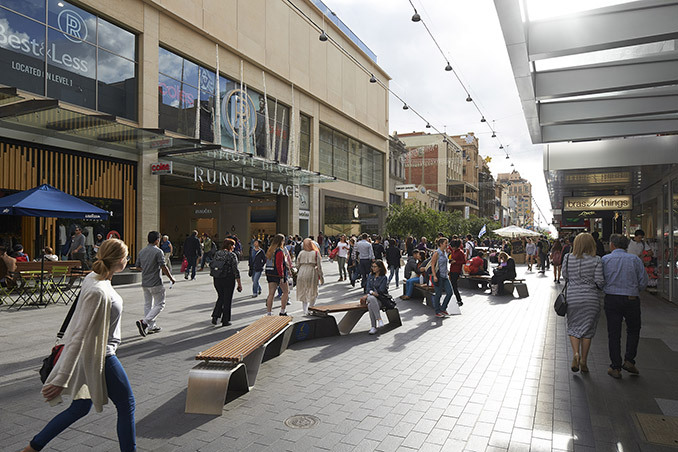 Timber plinths at the entrances have become popular gathering, and the doubling of trees throughout the mall will increase shade and comfort while framing views of heritage buildings. 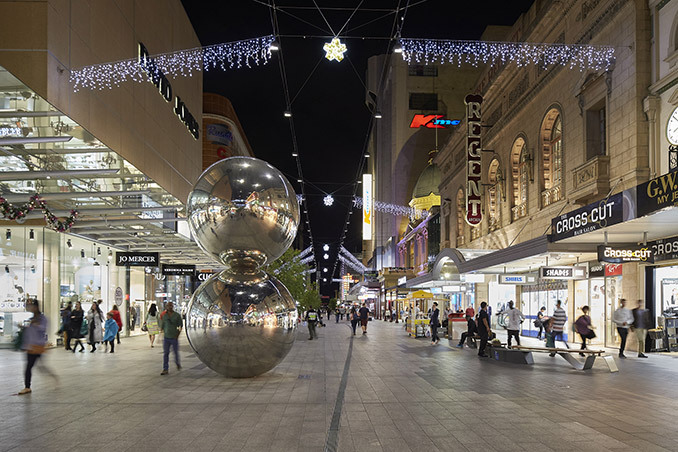 The central focus of the mall at the Gawler Place junction is highlighted by a beautifully lit canopy by night, setting the stage for productions and events. 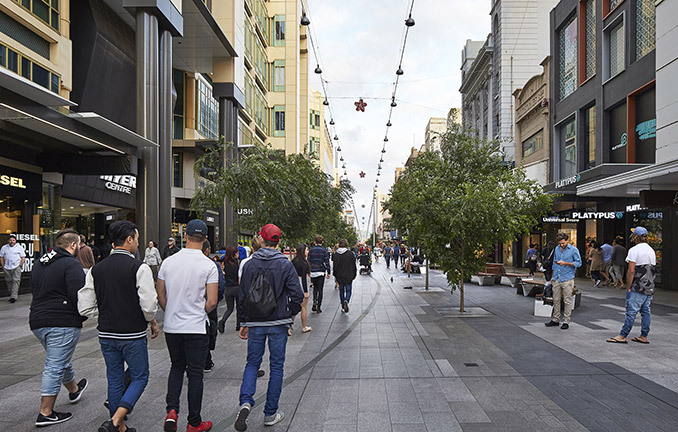 “What’s important about the mall is the people and activity in it. 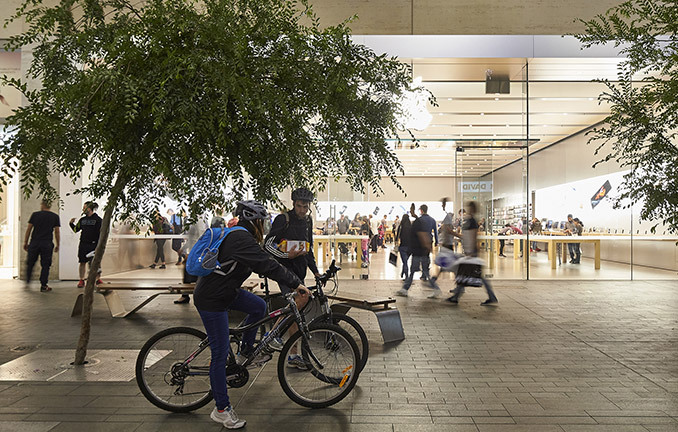 It’s bringing the humanity back to what has become a commodity,” said Tim Horton, Former South Australian Commissioner for Integrated Design.